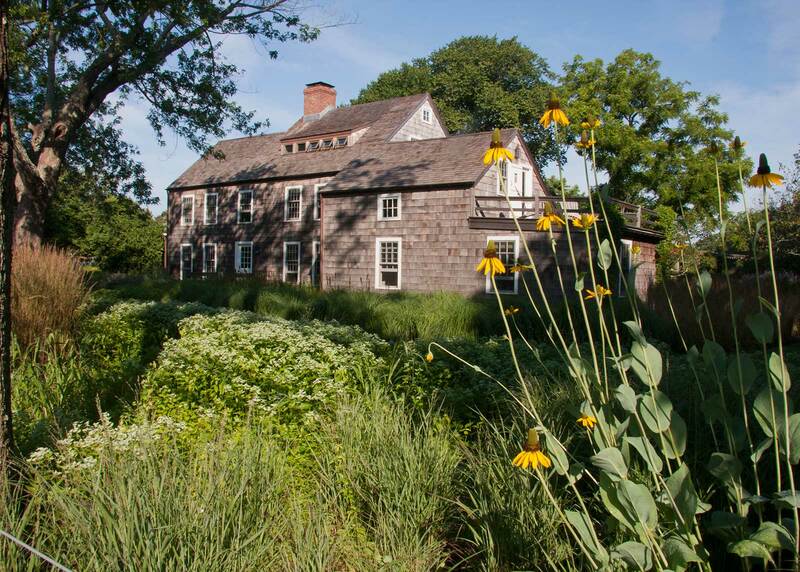 Once overwhelmed by shrubs and trees, this two-acre property on Gardiner’s Bay on the Atlantic Ocean was transformed from jungle to paradise. 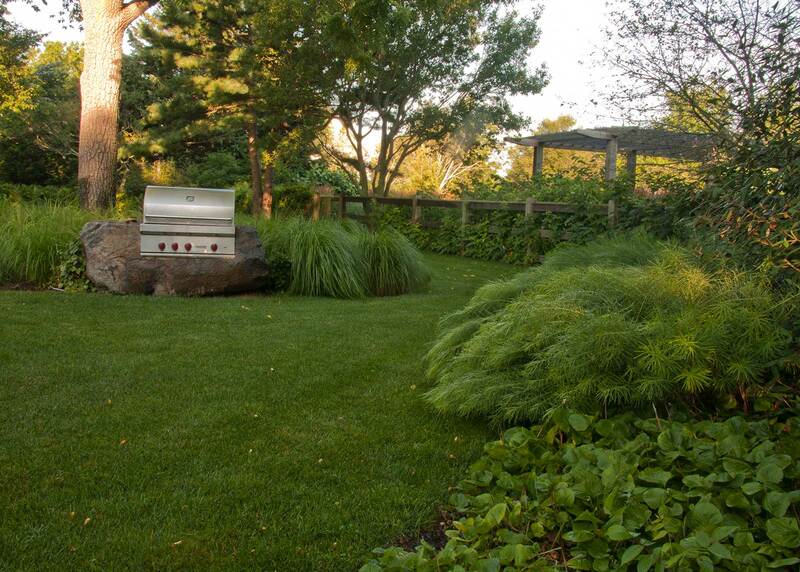 OvS opened up the entire site with swaths of grasses and perennials and tamed overgrown cedar trees that crowded the front yard. 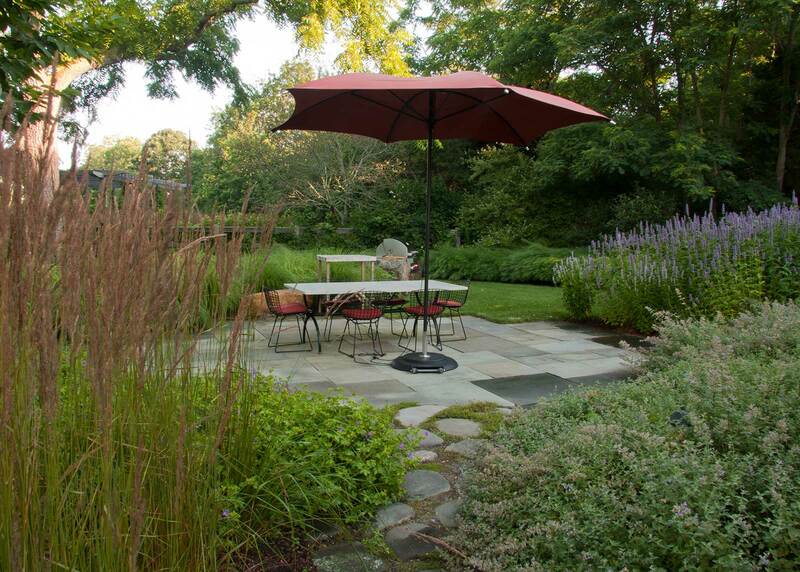 Behind the 18th-century farmhouse, a dining patio is nestled amid Anise Hyssop, Mountain Mint and Switchgrass. 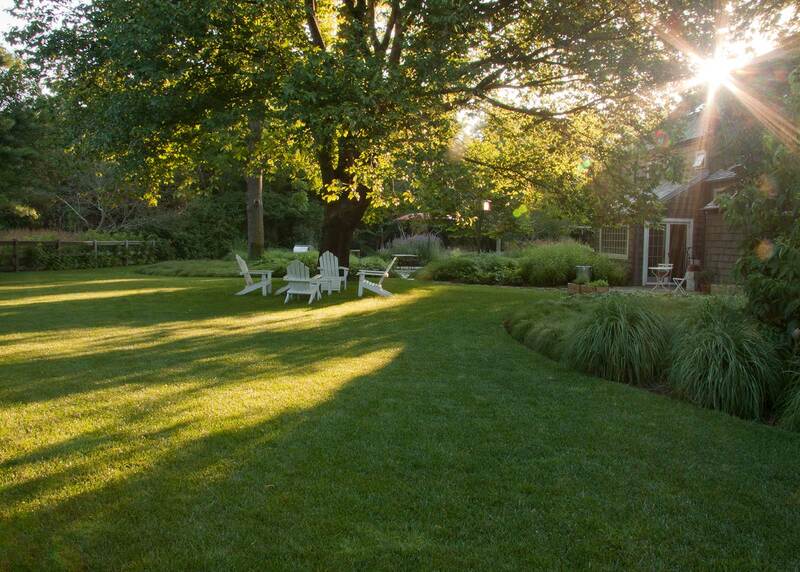 An arbor beckons guests along a lawn path that leads to terraces in the rear of the site before opening into an elm-shaded greensward. 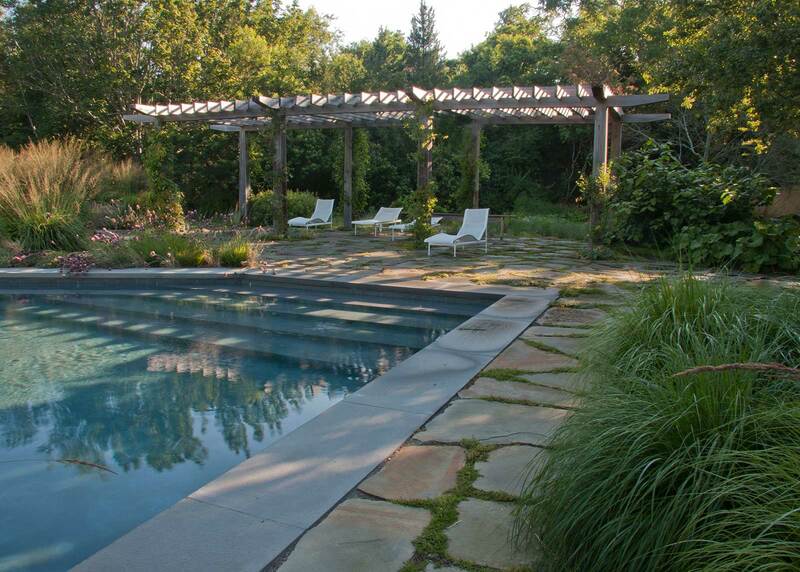 A 60-foot swimming pool sits on the back third of the property. 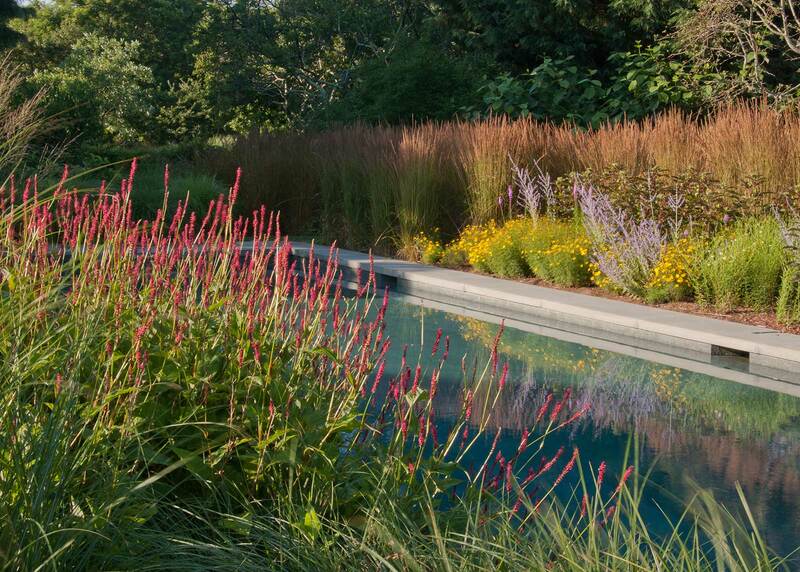 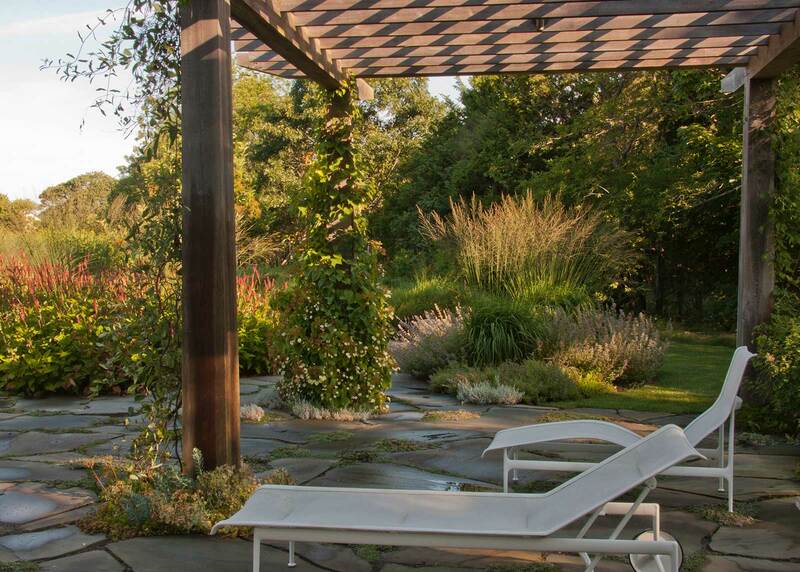 Surrounded by plantings that creep over the coping, the pool resembles a pond in a meadow.